"May GOD bring you comfort in your time of need,With deepest..."
"To Brenda, Cynthiia, Debra and the rest of my family. It is..."
"Sherley Myrie Willis Hancock was a dear cousin, a..."
"We became friends in Mannhiem, Gremany, in 1968." "Dear Hancock Family, May God comfort, strengthen, bless,..."
Sherley Myrie Hancock 81, a retired Civil Service worker, passed into eternity on March 31, 2019. 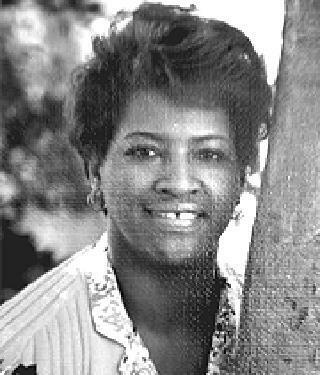 She was born September 8, 1937 in Yazoo City, to the union of Clarence and Cremolia Willis Sr.
Sherley is preceded in death by her husband, SGM Brennard Hancock; her parents; and two siblings. Sherley leaves to cherish her memories, three children, Brenda, Cynthia and Debra; six grandchildren and four great-grandchildren. A Funeral Service will be held at Angelus Chapel Funeral Directors, 1104 S. Circle Dr. Colorado Springs, Colorado 80910, on April 11, 2019 at 3:00 pm. Sherley will join her husband at rest at Ft. Logan National Cemetery on Friday, April 12, 2019 at 9:00 am.